Here’s where it gets frustrating you pick a seat and as soon as the program begins everyone has their iPhone, iPad or camera up in the air rolling as if they are licensed, professional cameraman. You try to pick a seat where there is no one in front of you and right in the middle of the performance someone sits in front of you and your view is now distorted. 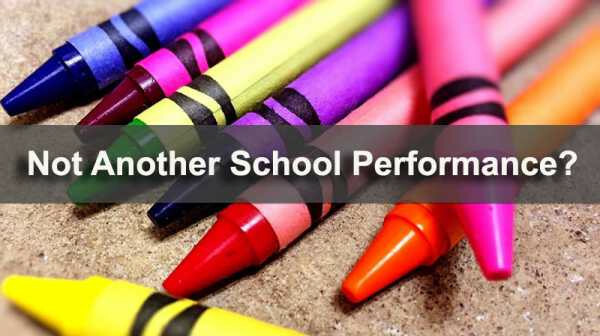 The entire performance you are looking for your kids class, teacher or a class member, just the slightest inclination that their routine is up next. Now, I don't know about you but I and my husband only came to see our child and as we gloss over the program it always seems as if her class goes last. These performances made me realize why so many artists ban cell phones from their shows. I get it! I noticed when you are focused solely on the recording you tend to lose sight of why you're really there and you're unable to appreciate the full experience. But when your child comes out on that stage and you recognize how hard they worked on their choreography and how elated they are feeling to be in front of all those people you realize this show is all about them. Your child is developing into their own person right before your eyes and showing up to support and cheer them on is necessary. School performances are not about the parents, it's about the children and what it does for their self-esteem and confidence as an individual. My Mom and Dad never attended any of my shows. My parents always had to work and I don't think they realized how important it was to me. I have chosen to have a different perspective and appreciate the importance of these moments while I have them. Even though we may dread school performances nothing beats that smile on your kids face when they see you. It's worth it. So make sure the next performance you show up and don't complain.